Built to last a lifetime, the Rackaway is constructed of top grade materials and assembled with the highest quality standards. It features strong welded construction with black, baked-on epoxy finish. It's made of two original Rackaways, mounted back-to-back, on a carriage that rolls easily on 2" casters. 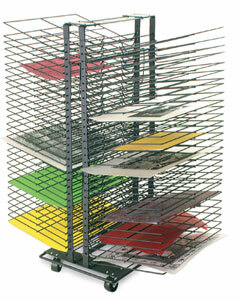 Casters can be removed for use as a table top rack. 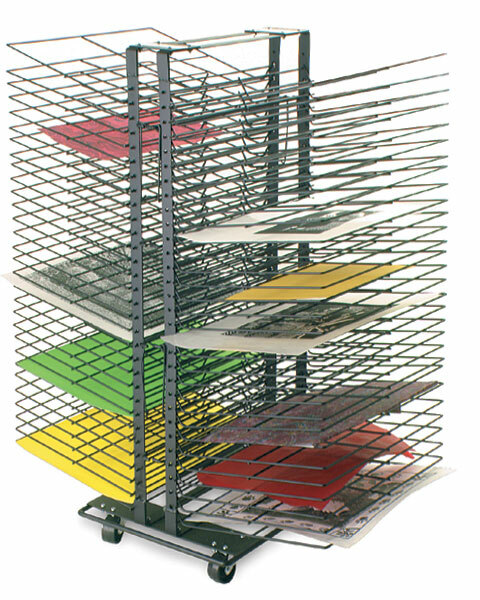 Shelves lift up for easy use and each measure 12" × 16" (30 cm × 41 cm). Each shelf has wire cross pieces forming a 4" × 8" (10 cm × 20 cm) grid. It ships fully assembled. ™ Rackaway is a trademark.